Lake Corrong Station on the Yarriambiack Creek near Hopetoun, was established in 1846 by McGinnis and Bell. The homestead building was constructed as a basis two room cottage of split pine slabs, rough hewn frame and hardwood shingles prior to 1854 with substantial extensions in similar construction before 1860. 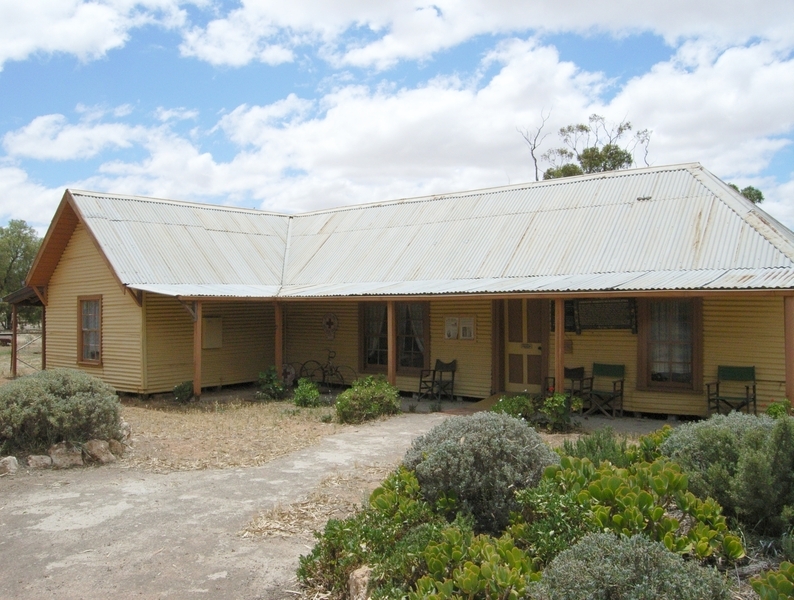 In 1877 EH Lascelles and Co. Acquired the run, survived the rabbit plague and eventually opened up this and Mallee land for closer subdivision. 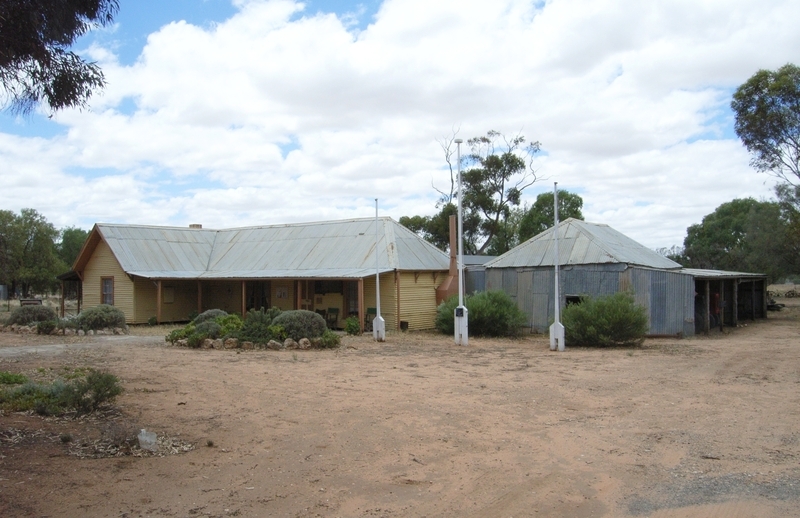 The history of Lake Corrong Station mirrors the life and endeavours of two great men of the Mallee, Peter McGinnis the pioneer pastoralist, and Edward Lascelles, the successful Geelong based woolbroker and patron for closer agricultural settlement of the Mallee in the 1890s. 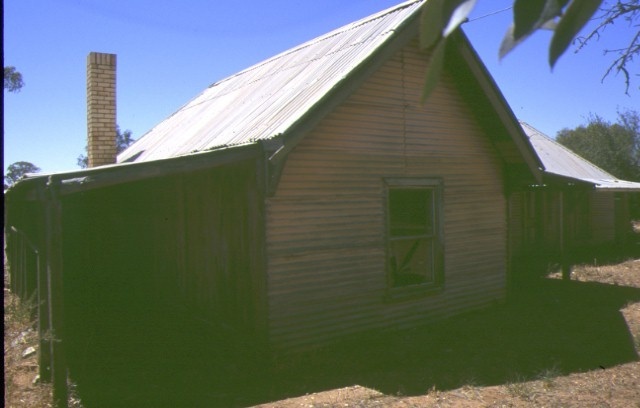 The part-slab homestead, although substantially defaced, is an important early example of timber slab vernacular building in Victoria. Hopetoun was founded within the station pre-emptive boundaries in 1895. 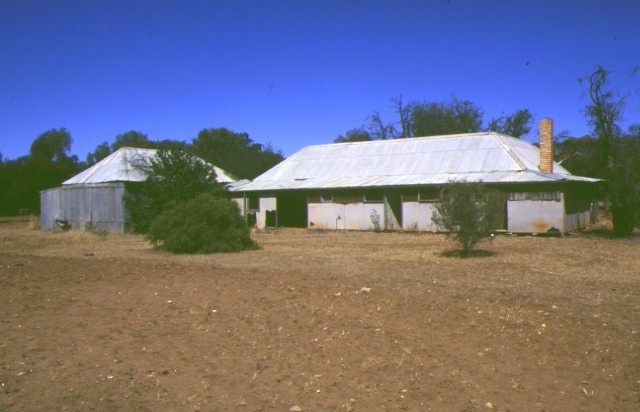 Lake Corrong Station homestead is extremely dilapidated and of low integrity. 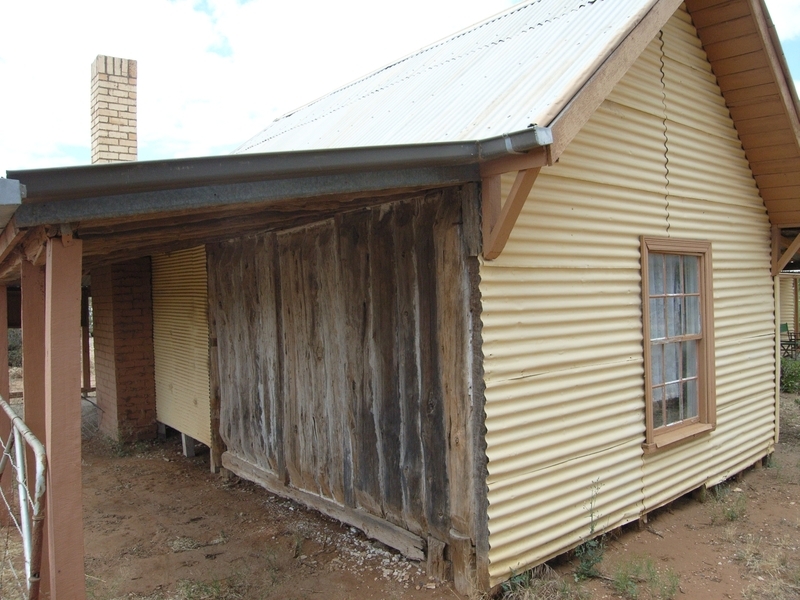 The structure and site survive as a physical manifestation of the history of development of the Mallee land of Victoria. Historic Building No. 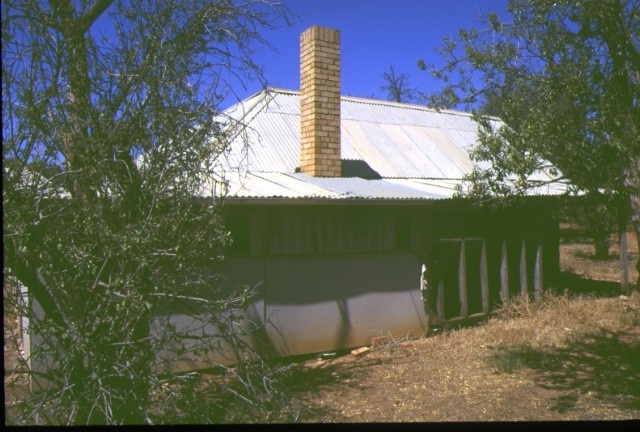 642, Lake Corrong Homestead, Evelyn Street, Hopetoun (to the extent of the Lake Corrong Station Homestead and all the surrounding land entered in the Register Book as Vol. 5288 Folio 1057564).